Note: Apex ski boots are sized differently from traditional boots. Please see the Apex size chart to determine your size. 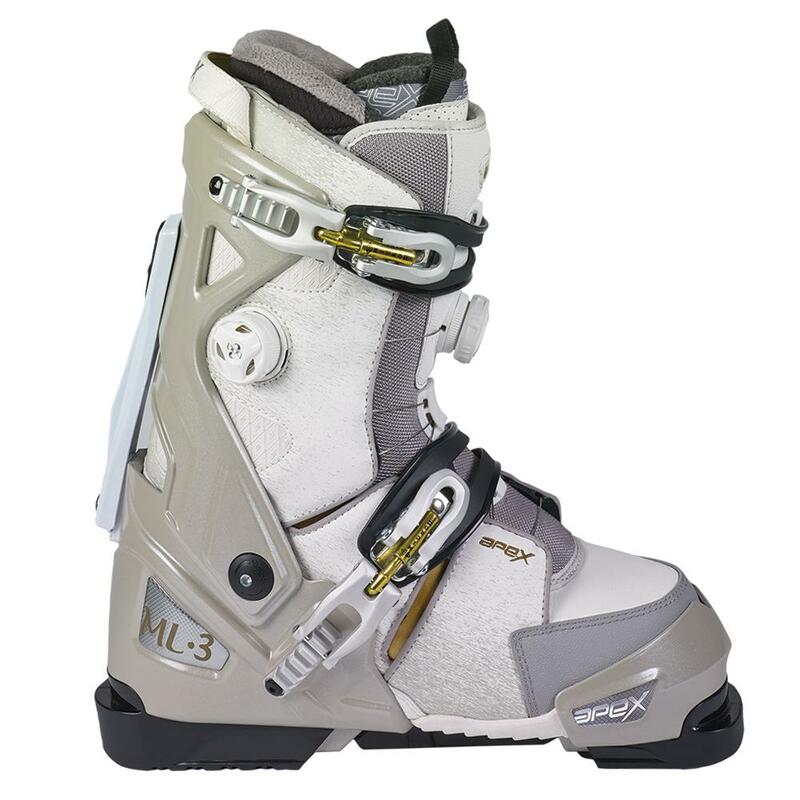 Go right past uncomfortable boots that weigh you down and put on the Apex ML-3 Ski Boots. The innovative A-Flex Suspension system can be set to allow a flex of 90, 100, or 110 depending on your ability level or even what type of skiing you are doing that day. Best of all, when you're not on the slopes you can strap out the Walkable inner boot and walk more naturally and comfortably wherever you're headed. "If you buy online, how do you make use of the heat moldable feature?" "You will need to take them into your local ski shop to have them heat molded. " "how wide is the circumference of the women ML 3 calf"
"The ML-3's are extremely accommodating, a ballpark range for the calf measurement is 13"-16½"." I have always had trouble with rental ski boots so I bit the bullet and bought these. They are fantastic--you can customize the fit (to a point) and they are very warm.